Weddings for couples who are residents and/or nationals of the UAE, Lebanon, Russia and Israel are becoming increasingly more popular in Cyprus over the last few years. From a pragmatic point of view, Cyprus is easy to travel to from both Europe and the Middle East, making it an ideal destination for those International couples living in the Middle East. It makes for a stunningly beautiful and convenient destination for you and your wedding party. As with any wedding abroad, the legalities and documentation required can be a little tricky if you are unfamiliar with the process. This is where we come in to help make your wedding day formalities stress-free! Whether it is a full-scale religious celebration or a quick and easy ‘express’ civil ceremony for two, we are able to provide a professional, and supportive service to equip you will all the details that you might need. We will make sure that all your legal documentation and administrative requirements are checked and accurate before your arrival in Cyprus. 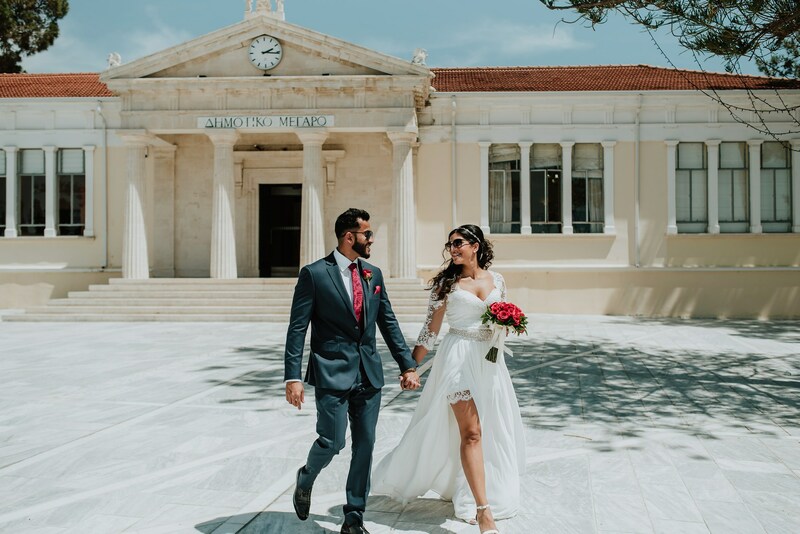 It is important to know that there are extra formalities in making your marriage in Cyprus authentic and recognised in the UAE, Lebanon & Israel. In order to legalise your marriage, your wedding certificates will need to be sent by courier to the appropriate government ministers, relevant to your country of residence. This action takes place after your marriage ceremony and normally takes about 2 days to be signed and returned. It is possible to have the documents delivered to you whether you are still in Cyprus or back in your country of residence. In addition to handling the legal requirements, we provide you with the full day assistance of one of our wedding planner’s and are able to provide witnesses for your civil ceremony. For those not wanting a full-blown wedding celebration, instead wanting a quick, civil ceremony, wedding licence applications and civil marriage ceremonies can take place on the same day. Civil ceremonies are simple, quick and easy for those who would like to fly back home promptly. If any extras are desired, such as flowers, transport, photography, etc., this can all be arranged and taken care of by us. If you would like more information on documentation and marriage laws, please do not hesitate to contact us, and we would be happy to help you plan your wedding day here in Cyprus. To ensure the success of your wedding day and your peace of mind, we require scanned copies of all of your documentation before you arrive in Cyprus. It is very important that you bring the original documents to with you. Please note that, only original documents are acceptable. It is not impossible to have a ‘last-minute’ wedding, and we are able to fast-track all of the legalities as well as the processing of your information. However, we cannot be held responsible for any changes to the time and date of service or wedding arrangements which are beyond our control. In the case of incorrect or forgotten documentation (which may lead to the cancellation of the wedding) we cannot be held liable. We help ensure that getting married in Cyprus is simple and stress-free for those that want to get married quickly with little fuss. You can leave all of the arrangements to us. Tell us your preferred date and we will organise everything as quickly and efficiently as possible. To fast-track an ‘express’ wedding, please call us for more information and advice, as each individual couple requires different documentation depending on their nationalities, current passports and country of residence.